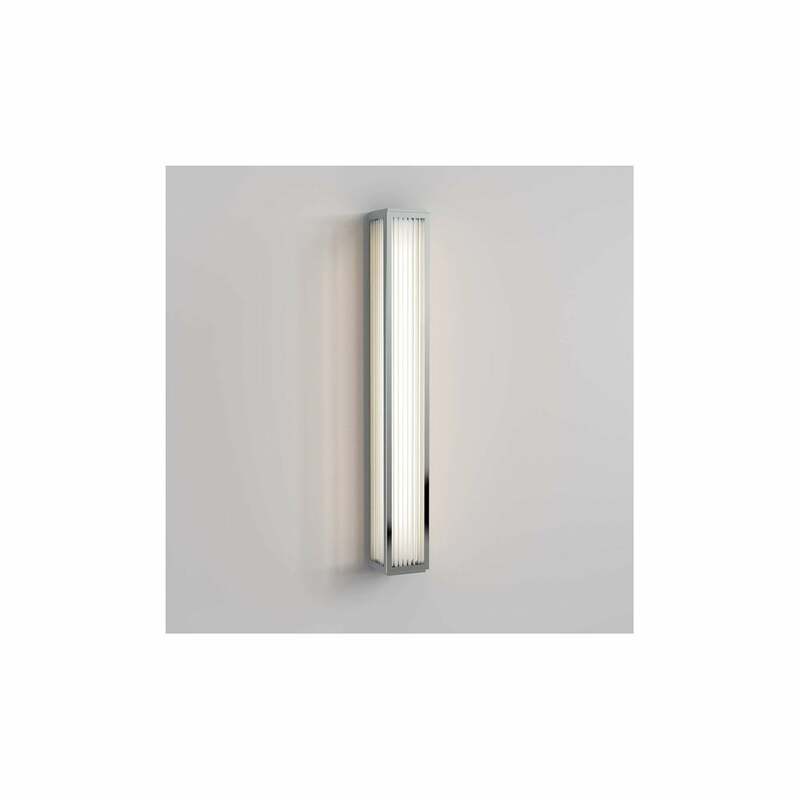 Astro Lighting Boston 600 single light bathroom wall fitting features a long rectangular shaped polished chrome frame with frosted glass shade and ridged effect design. The product code for this Astro Lighting wall fitting is 8329. This contemporary design has a minimalist style which is perfect for modern bathroom within your home and the integrated 3000k warm white LED provides 811 lumens. Also available in bronze finish which can be purchased via our website.